Box of Balloons provides birthday parties to children in need. We are looking for a volunteer chapter leader or co-leaders to start a chapter in Kentucky. Chapter Leaders connect with community social workers from schools, homeless shelters, early childhood centers and more to identify children in need. The social worker submits an online request and the chapter leader works with a team of volunteers to fill it! Each birthday box contains tableware, decorations, party game, party favors, cupcakes and a birthday gift. The chapter leader delivers the completed birthday box back to the social worker to get to the family. A birthday is so much more than balloons and cake, it is a day of love, joy and hope for a family in need. A birthday party for a child gives them confidence and positive self esteem. For families in need this unfortunately isn't a reality and thousands of children go uncelebrated. We want to partner with you to change that! 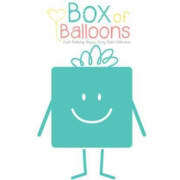 4-5 hours per month, each birthday box takes about 2 hours and we encourage new chapters to do 1-2 per month. Must love birthdays and believe every child should be celebrated!